Monitoring is the critical first step to species conservation. Conservation work needs to use it's limited resources with maximum efficiency, and this cannot be done without an accurate idea of the population numbers, distributions and trends over time of the species concerned. If you're serious about bat recording, the first step is to obtain a bat detector. Bat detectors pick up the ultrasonic calls of bats (used for echolocation) and play them back at a frequency which can be heard by our human ears. Training is available on how to use bat detectors on our training events and bat walks; check the Events Calendar for upcoming dates! The choice of makes and models can be somewhat overwhelming, however the Bat Conservation Trust has produced a brief guide which can be downloaded at the bottom of this page. There are three main categories of detector, heterodyne, frequency division and time expansion, though only the former two are well suited to recreational detecting. Heterodyne - These are bat detectors at their most basic. Their inner workings are complex, but effectively they bring the bat calls into our audible range. Although their accuracy in reproducing calls is not as high as in other categories, these detectors are cost effective and offer the benefit of adjustable frequency tuning. This makes heterodyne detectors ideal for in-field species identification, as bat species differ markedly in their call frequencies. Frequency Division - These achieve the same result of bringing the ultrasonic calls into our audible range, however they achieve this by simply dividing the incoming frequency by a known amount (usually a factor of 10). While this is less suited to field identification, the increased accuracy of this technique allows users to record calls for subsequent computer analysis. This might seem complicated, but it can be done by anyone and software packages are often included in the sale of detectors. Bat Conservation Trust guidance on sonogram analysis can be downloaded from the bottom of this page! Detectors are available, such as the above Duet model by BatBox, which combine both heterodyne and frequency division functions, thus aiding both field identification and allowing subsequent computer based call analysis. 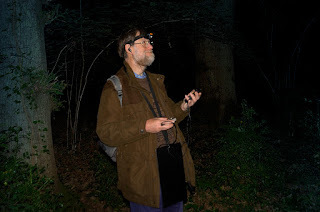 If you have any bat sighting records within or immediately adjacent to Hampshire, whether they be of bat roosts or single bats foraging in your garden, we would most gratefully receive them to add to our database. Records can be submitted via our online form here. Got a taste for more?! 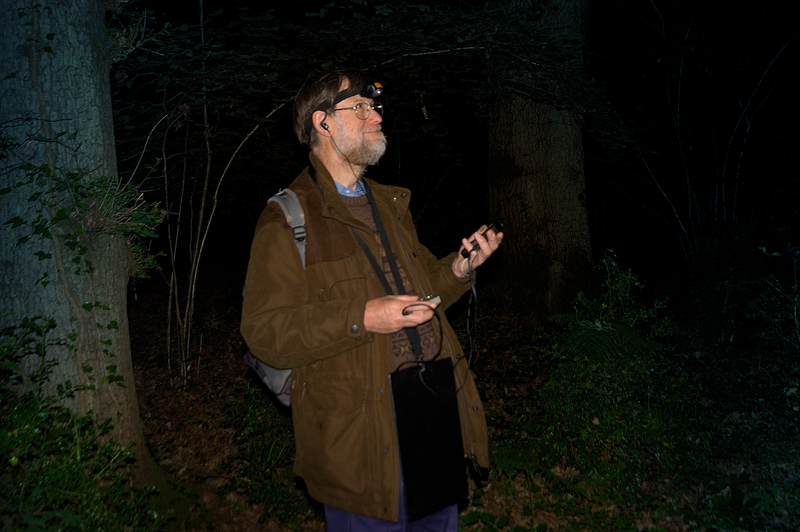 Get involved in some Hampshire Bat Group projects! With the persistent destruction of natural habitats, and advancements in building techniques, loss of roost site opportunities is one of the greatest threats to the conservation of our native bat species. Thankfully this trend is starting to be combated by the incorporation of ecological mitigation in the planning system, but we can all help our nocturnal neighbours find new homes by hanging bat boxes! Just like bird boxes, different designs are suited to different species. Bat boxes are readily available from both online retailers and many garden centres. These can however be quite expensive, so you may wish to have a go at making some yourself - download the Bat Conservation Trust guidance note from the bottom of this page! Please remember that bat roosts are strictly protected against disturbance, so unless you hold the appropriate licence, you shouldn't inspect bat boxes once they are in use. Instead, record the number and species emerging at sunset, and don't forget to send us your records! Not only are potential roost sites in short supply, but our increasingly urbanised island has an ever dwindling supply of the natural habitats which bats use for feeding. All our native bat species are insectivorous, so we can give bats a helping hand by gardening in ways which maximise our garden's suitability for insect prey species. Plants for Insects - The key is diversity, and try to keep to native species where possible as it is these species our native insects have evolved to feed on! Consider flowers with insect-friendly landing platforms and short florets, like those in the daisy or carrot families. Pale coloured flowers are more easily seen in poor light, so attract insects at dusk. Set Aside - If you have space, consider setting aside an area of your garden to be semi-natural. Most "weed" species support much more biodiversity than exotic ornamental flowers. Create a Pond - Not only will a pond act as a breeding site for invertebrates for bats to feed on, but it will also provide a drinking opportunity for the bats themselves. Avoid Insecticides - Apart from removing bats' food source, these kill indiscriminately, and will often do more harm than good by wiping out predatory insects which would normally control the populations of pest species. Make a compost heap or log pile - Recycle kitchen and garden waste to produce useful garden compost as well as an ideal habitat for insects. A log pile in a damp, shady spot will also encourage insects, particularly beetles. Help Bats Navigate - Bats find their way to their favourite feeding grounds (and home again!) using echolocation. We can help them by planting linear features such as hedgerows. Lock up the cat! - There are some 4.5 million domestic cats in the UK, many of which are very proficient bat hunters. If your cat absolutely must stay out all night, please bring it in from an hour before to an hour after sunset when bats are emerging and at their most vulnerable. Keep it dark - although you'll need some light to enjoy your brilliant wildlife garden, be sensitive to the fact that all native bats are nocturnal and will avoid heavily lit areas. Try to avoid direct illumination of prime foraging areas and potential roost sites. Bat Conservation Trust guidance on gardening to encourage bats can be downloaded below. More tips are available on the TigerSheds website here.